According to the New York State Unified Court System, junk debt buyers Pressler and Pressler, LLP filed 4,812 New York debt collection lawsuits in 2018. 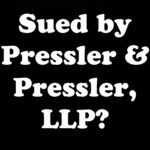 Pressler & Pressler, who is also now going by the name “Pressler, Felt & Warshaw, LLP” has its headquarters located at 7 Entin Road, Parsippany, New Jersey 07054-5020 but also has a New York office located at 305 Broadway, New York, NY 10007. While Pressler & Pressler is a law-firm, in reality it acts more like a glorified debt collection agency using the courts as a debt collection tool. Once a judgment is obtained, law-firm debt collectors like Pressler & Pressler can freeze bank accounts, garnishee wages and issue subpoenas. 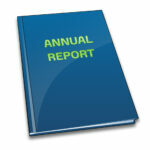 Law-firm debt collectors like Pressler & Pressler employ few attorneys but many debt collection agents. In fact, if you call them, you will not speak with an attorney, you will speak with a debt collection agent who is probably being paid a commission for any money he or she collects from you. In 2014, a lawsuit was filed against junk debt buyer Palisades Collection and their attorneys of choice – Pressler and Pressler. The suit filed in the United States District Court for the Southern District of New York alleged violations of the Fair Debt Collection Practices Act (FDCPA), a federal law that regulates the collection of consumer debts and the U.S. Racketeer Influenced and Corrupt Organizations Act (RICO). According to the lawsuit, Palisades bought millions of dollars of defaulted consumer debt from AT&T Wireless for pennies on the dollar and then, through Pressler and Pressler, filed mass-generated debt collection lawsuits throughout New York City without proper evidence of the debts. It was alleged that the defendants had insufficient evidence that the debts were owed but still collected millions of dollars from consumes, in part, because consumer debtors seldom show up in court to defend the lawsuits resulting in default judgments. With default judgments secured, Pressler could easily freeze bank accounts and garnishee wages. The lawsuit was reportedly settled for $3.9 million dollars and a promise from the defendants to cooperate in the reversal of more than 48,000 judgments won against New York City consumers. The settlement also calls for the defendants to pay $787,500 in attorneys’ fees to the consumers’ lawyers. Pressler & Pressler and many of its debt buyer clients are sued regularly by consumers for violations of the FDCPA. If a debt collector like Pressler & Pressler violates the FDCPA, you can sue or statutory damages up to $1,000.00 plus actual damages (like pain and suffering) and your attorney’s fees. In FDCPA cases, The Law Offices of Robert J. Nahoum, P.C. doesn’t charge our clients a penny out of pocket. Sued By Pressler and Pressler in NY or NJ? 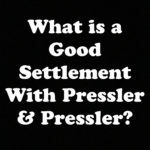 What is a Good Settlement with Pressler & Pressler? 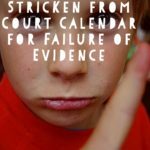 Sub-Prime Auto Lender “Leaders Financial Company” Filed 23 New York Debt Collection Cases In 2016?